Prove what really happened in a accident or road rage with actual video evidence. Video evidence protects against lawsuits, insurance claims, deductibles, theft, vandalism, road rage and robbery. Video is also great for training new drivers, or monitoring and coaching the driving habits of company drivers. 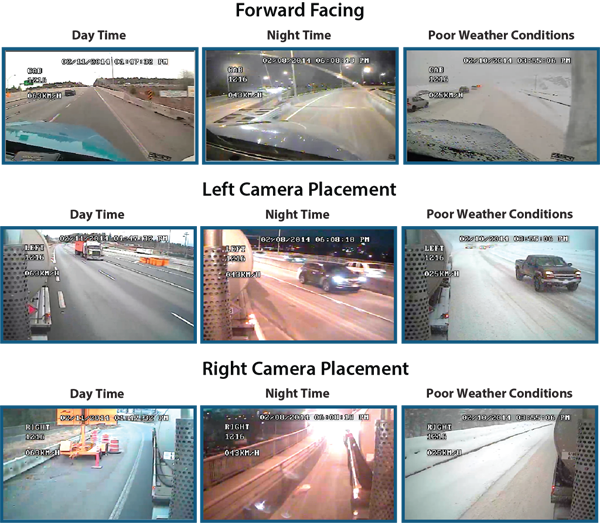 Gatekeeper does this with digital video recorder solutions that give management and on-highway captains — reliable, high resolution digital video and clear audio recordings integrated with vehicle sensors, including GPS, G-sensor and speed. Reliable, scalable G-Series Digital Video Recorders deliver dynamic, real-time video to give you maximum coverage of your vehicles. The S-Series Cameras offer the highest resolution in the industry and feature infrared technology for precision viewing in any light, even no light. These vandal-proof cameras include a microphone for clear audio recordings inside the cab. SD-700 mirror mount camera is a small, vandal resistant, outdoor metal camera with IR LED’s for night use. Finding, saving and sharing incidents is fast and easy with G4™ Viewer Plus Incident Management Software. You can retrieve video from the vehicle wirelessly anytime, even when the vehicle is turned off. G4 lets you synchronize video with Integrated GPS Mapping, vehicle sensors, alarms and audio so you can see incidents from all angles. Live-streaming video lets you quickly analyze emergency situations and send help to the responder’s exact location when needed. View historical data to track where responders have been and what transpired in the vehicle.